It's time to reveal my project for the build-off. 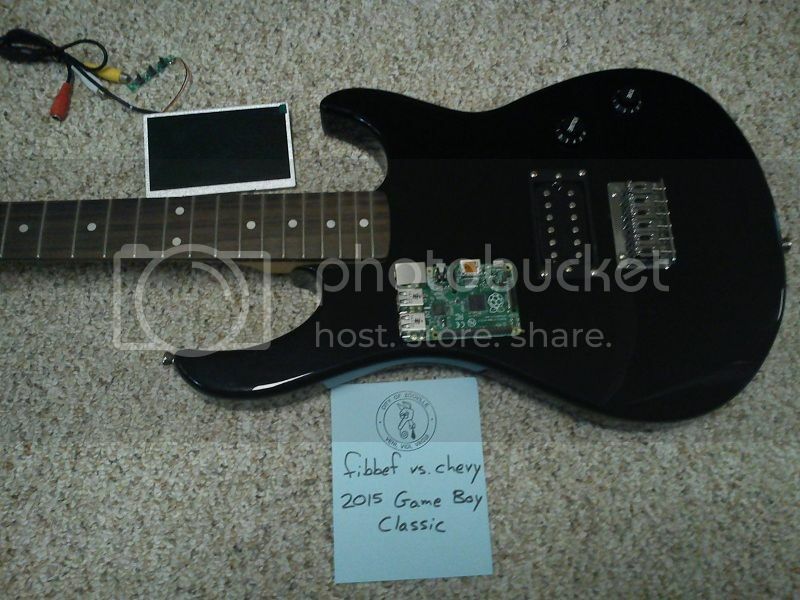 For this competition I'll be building a Raspberry Pi "portable" into a working electric guitar. 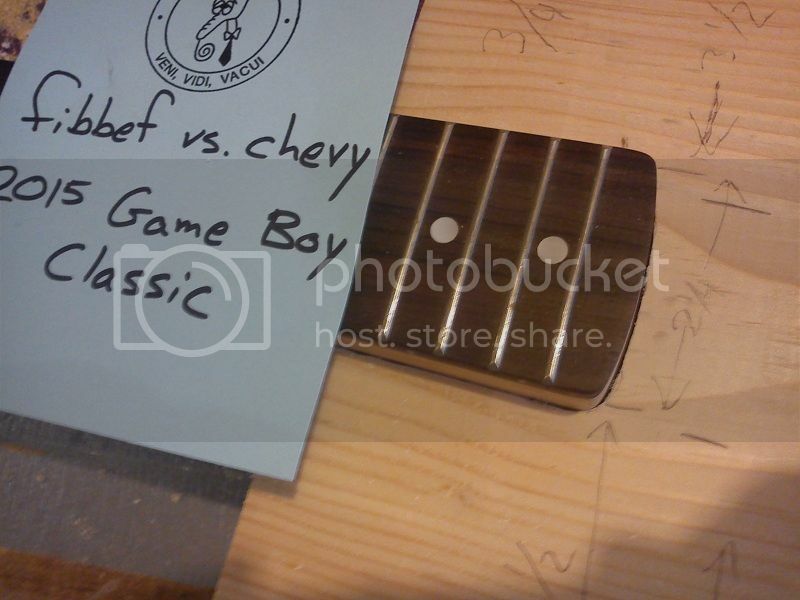 In order to fit the Game Boy theme, I'll be tossing out the stock guitar body and building a new body from scratch that will resemble a DMG. 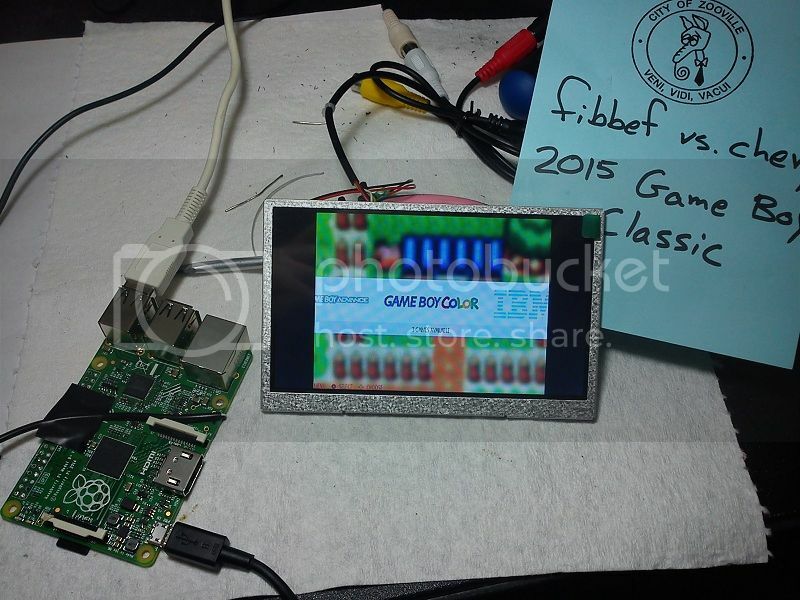 Additionally, the Pi will be running RetroPie with GB, GBC, and GBA games. I will probably include NES games as well (maybe Turbografx too?) 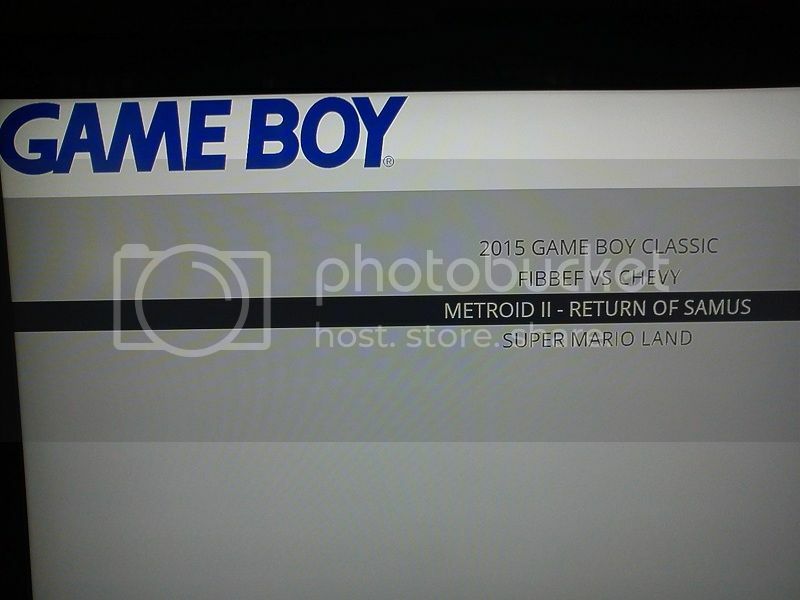 but not SNES games as adding X and Y buttons will throw off the DMG look. I'll include L and R because they'll be hidden on the back of the guitar body. 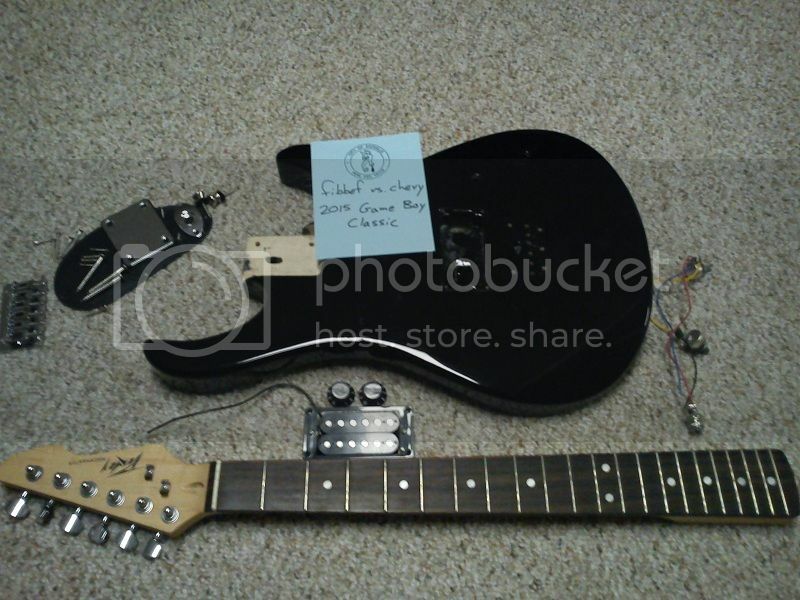 I'll be using a 5" backup monitor because I feel that's the ideal size for fitting between the guitar pickup and neck. Thought I'd work on the software side of things first to get that out of the way. 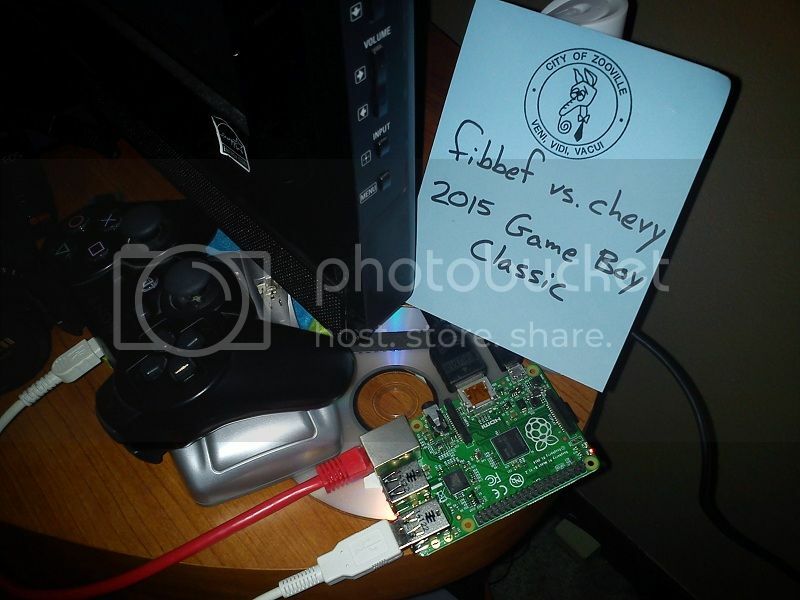 Here I'm writing the RetroPie image to my microSD card. 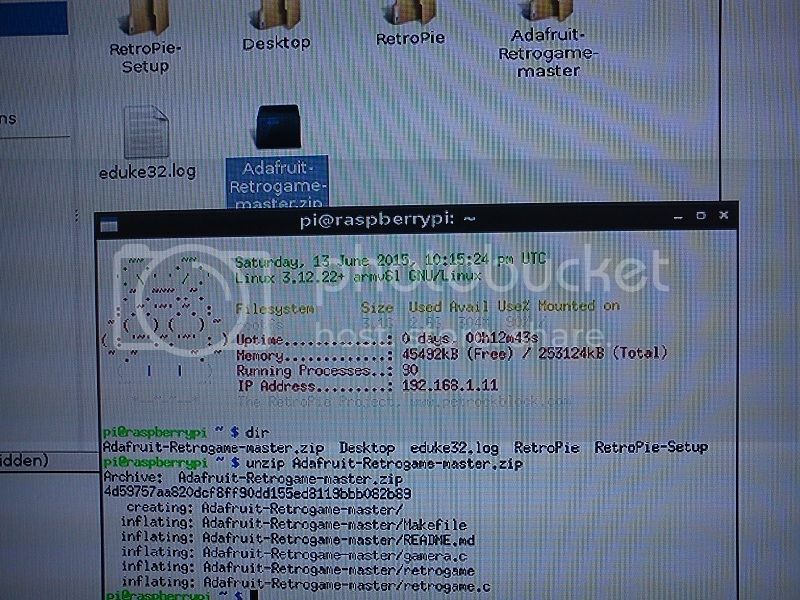 I'm using version 2.3 of the image because newer versions I've had issues with Retrogame, which is the tie-in program I've used in the past to connect tact switches to the Pi's GPIO pins. I'd much rather go this route than chop up a USB keyboard to stick inside the guitar. 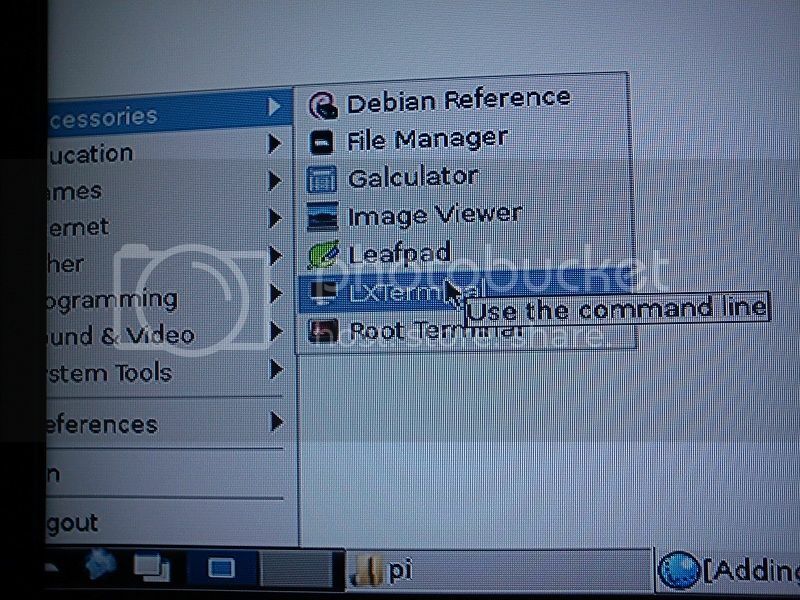 Connecting the Pi to my TV. 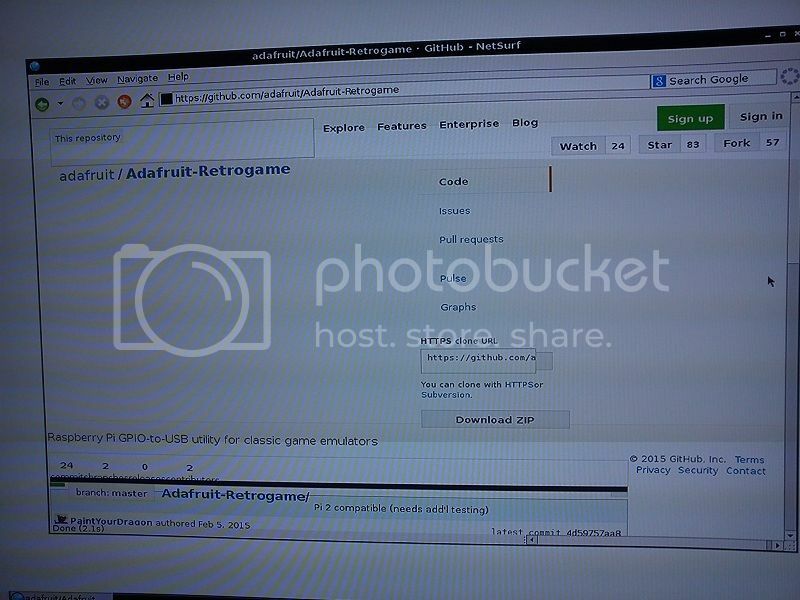 I need it connected to the internet to download the Retrogame software, but otherwise that's not needed. 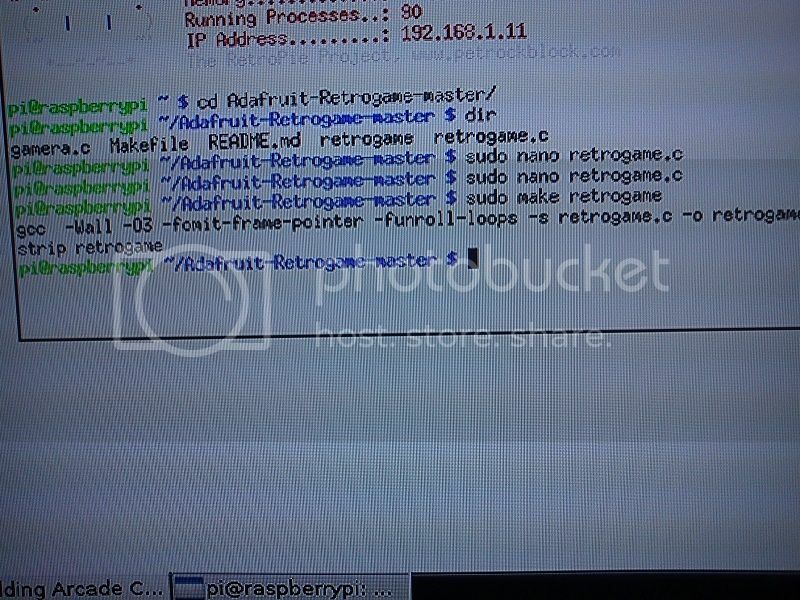 I'll be using a PS3 controller for testing RetroPie until I have buttons wired up to GPIO. Wanted to add a few games and try them out before setting up Retrogame, as it's not my favorite thing to do. 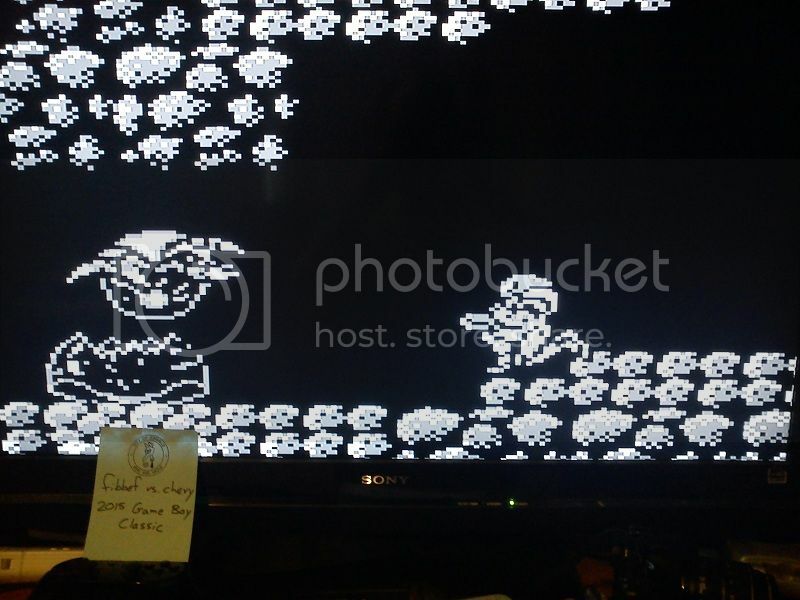 And here I thought Metroid II looked rough on a tiny screen. From here, I gotta do some work in a terminal. LXTerminal works, as does XTerm (I think I used XTerm for this next step actually). 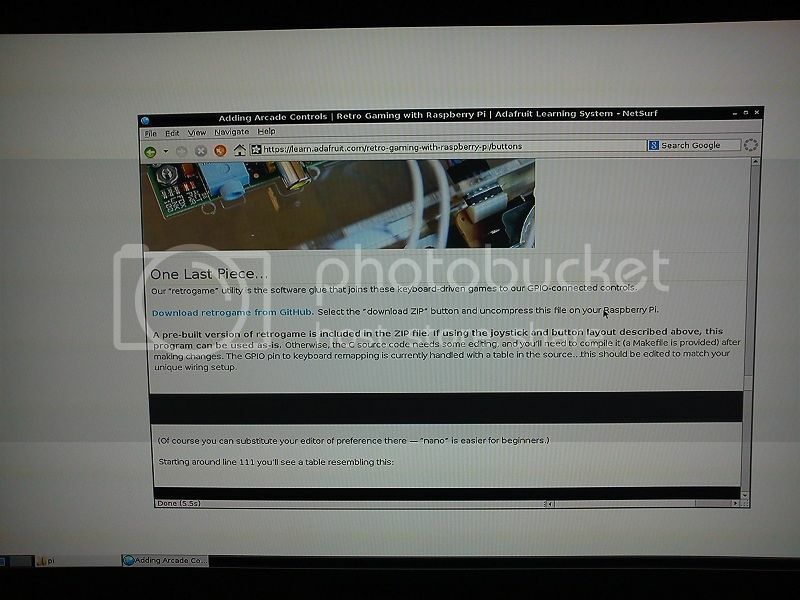 Also, the next 2 or 3 images aren't terribly interesting, but I took them for a possible future guide. 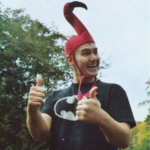 A simple use of the "unzip" command extracts the files I need. Next, I have to go into the Retrogame code file and edit it for my purposes. Originally it's setup for a very simple MAME arcade experience with four directions and two action buttons. I've added all the buttons for a GBA plus escape, which exits a game. When I use a PS3 controller, Start + Select exits a game, so the escape key may not be necessary. Also, I had to figure out which keyboard key corresponds to each game button. That's why keyboard Z = Game Boy B, etc. The numbers on the left (25, 9, 10, etc.) are specific GPIO pins. I'll have to refer back to this code when soldering on my buttons. After saving the code file, I had to remake the executable. The downloaded package includes the make file, so I had to simply type the "make" command. 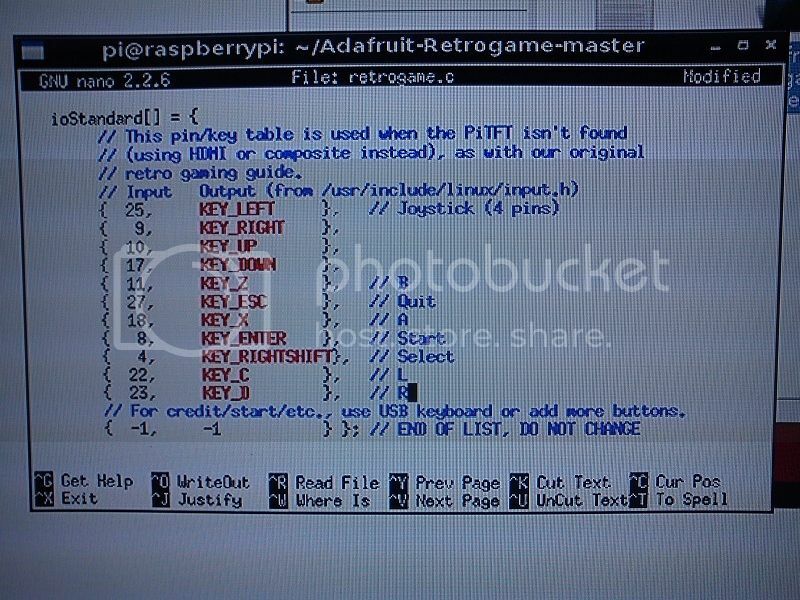 There are a couple more steps involved in the Adafruit guide which essentially tell the Pi to automatically launch Retrogame when the system boots. Since I don't have my buttons wired on yet, I'm going to assume that the software is working as it should. I'll troubleshoot later if need be. Back to the hardware, where I removed everything from the body of the guitar. I'll be reusing all of the extra parts in the finished project. That's it for today! That sounds like a great idea! Let me know if you need any help with the guitar part. You should add a custom starting screen to look like the Game Boys one. What I'll be working with is 2"x10" pine for the body. Of course it's more like 1.75"x9.25", but it's still the size I want. Before anyone gets after me about, "You should use this kind of wood for best tone..." I went with this cheap stuff because I don't plan on making the BEST sounding guitar on the planet and I wanted to buy plenty of wood for the inevitable mistakes I'll make. Besides, I originally bought the guitar at a pawn shop for $40, so it's not like it's rocking top of the line pickups or anything. Prior to the competition I did a practice run to see if I could actually make a guitar body and assemble it into a functioning guitar. The result was a success (I actually hooked it up to my amp and everything!) but it wasn't pretty. This run will be more practice, as obviously I don't want to use a chunk of wood that's been gouged on one end. 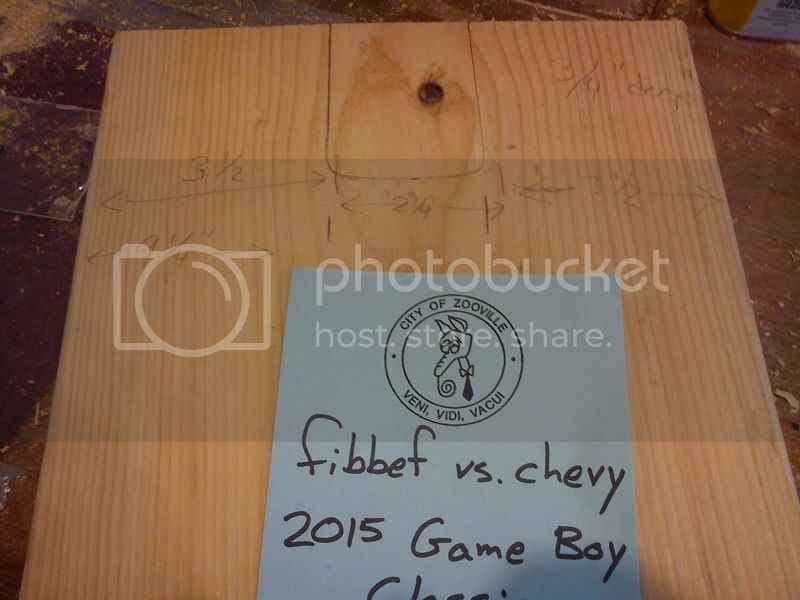 Got some measurements on the wood for cutting the neck slot, then held the neck onto it and traced around it. That'll be my guide when routing. During my initial practice attempt, I tried making my own routing template, but the results were less than ideal. The first route, only about .25" deep. The neck fits very snug, but you can see the cut could be a lot better since there's still a gap between the heck and the body. 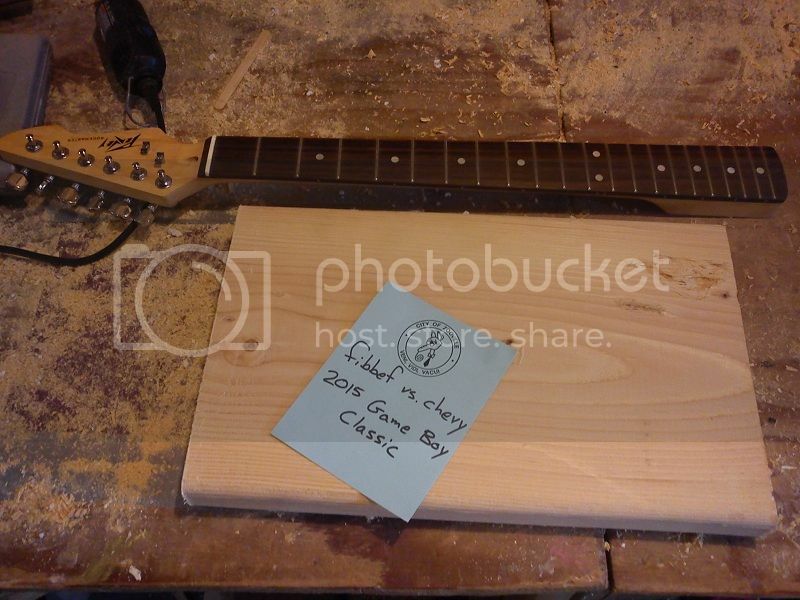 Here's the neck with the original body. Notice there's no gap around the bottom of the neck. Routed the cut deeper. For those not familiar with routers, you can only cut as deep as the router bit is tall, which is why I had to make 2 passes to get my desired depth. I had planned to go exactly .75" deep, but I forgot to measure the depth setting of the bit before this pass and went a little deeper. I actually don't mind it like this because on my first practice I didn't route deep enough and the neck sat too high. Then the strings kept hitting the upper frets. No good. This way I'd at least have plenty of room to adjust the string action. Anyway, back to the electronics. I desoldered the 3.5mm AV jack from the Pi and soldered on a basic RCA jack so I could easily connect it to the screen. I also desoldered all of the GPIO pins in preparation for soldering on the buttons. That step won't come until the guitar body is much more finalized. 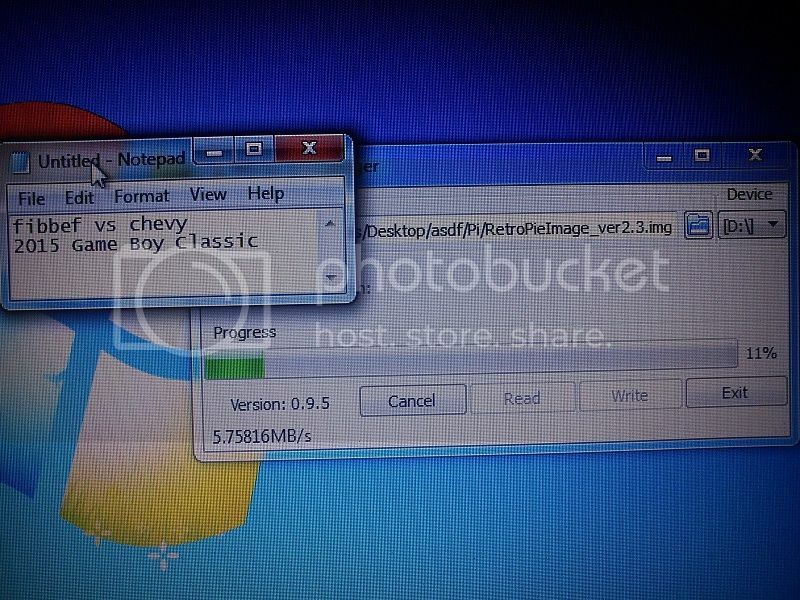 Add GBA bios file in order to play GBA games. Look into adding a startup screen. It's a neat idea but may have to come later in the lifecycle of this project once I get everything else complete. Add TONS of Game Boy games. Yes I use MDF templates. 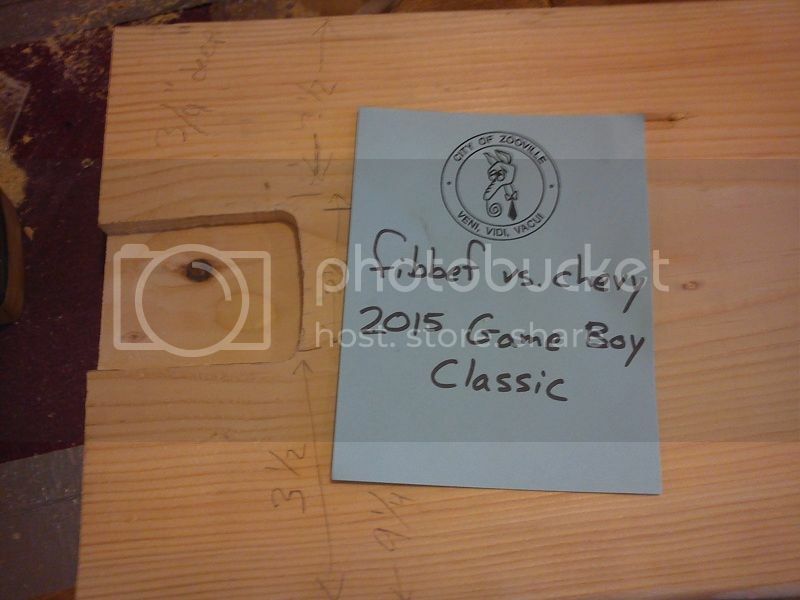 Trace the neck, then cut it on a band saw or something, then use a dowel and sand paper to sand close to the line. Then use a router with a bit that has a bearing on the shaft side. Make sure all things are in the exact right places. You don't want any discrepancies from the proper spot or it will be hard to play. Make sure the scale length is done right too. 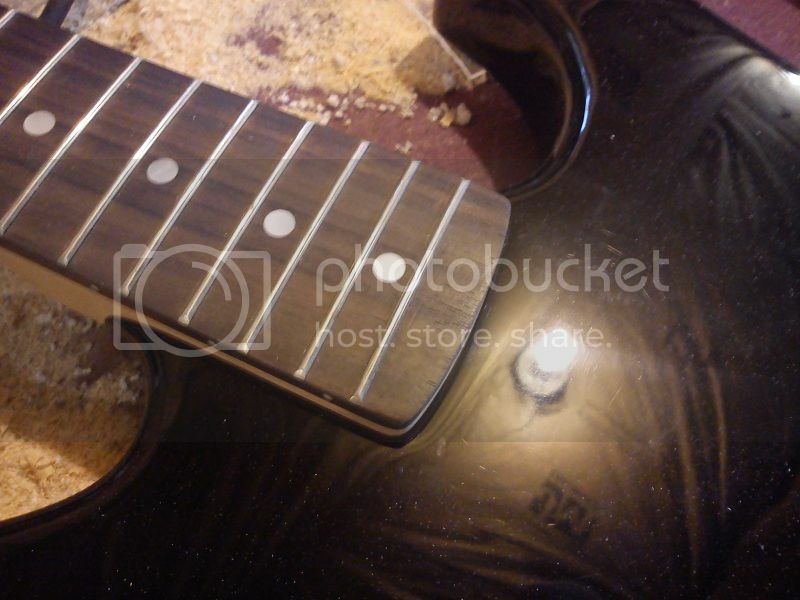 Measure to the 12th fret from then nut. Then double it and that's the length from the but to the saddles of the bridge. good work so far. but, i have a question... how will you be able to play games very well with strings going over it? they'll hamper your view...? Very true. The fact is, this is very much a novelty item. I doubt very much that I'll ever sit and actually play a game on it for very long. And guitar snobs would say how terrible it plays. But it's a mash-up of both worlds and even if it doesn't play very well musically, it would at least look pretty sweet onstage. Also, thanks for the tips, MP. I tried making a neck template on my first run out of acrylic. Wasn't very clean and didn't look that great. I might try again with a spare piece of wood like you suggested. As for scale length, I was planning on placing the bridge on the body in the same location as it was on the original. Like I said, my first run played well enough, but I'll make the measurements you suggested to make sure it matches up. That makes sense. If you arent looking to play it much, then whats the difference haha. should be pretty cool though! and for the router, since I forgot to say, I use a POC underpowered router that I bought for something like $70. the one in that picture looks fine. just be sure you take your time, and have semi decent bits. I use bits with bearings to follow the shape of the templates I made. also, pick guards help to hide the crimes. 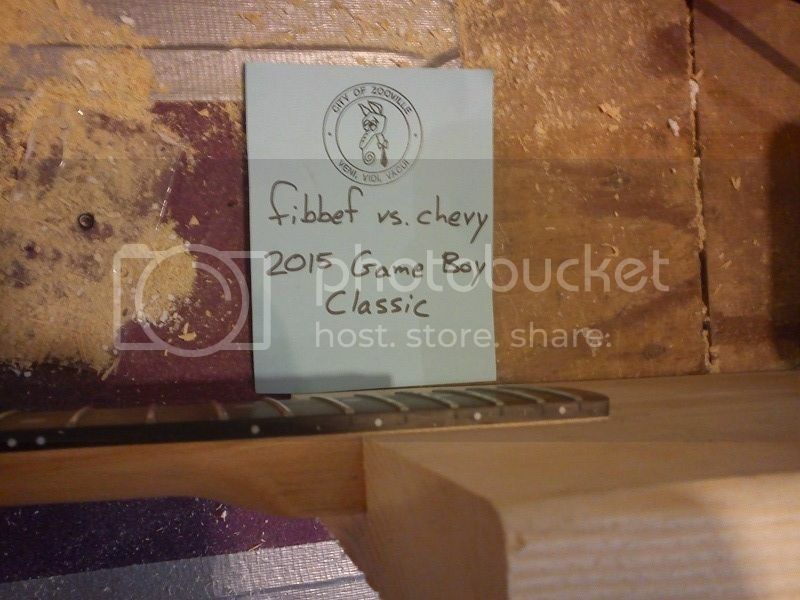 and overhanding fret-boards do that too. The router I'm borrowing is the only one I've ever used, but it seems like a high quality router. The bit is nice and solid and does have the bearings. Good idea with the pickguard - I'm sure I'll make one to cover the screen and maybe hide an imperfection or two. Unfortunately, the neck doesn't overhang at all.